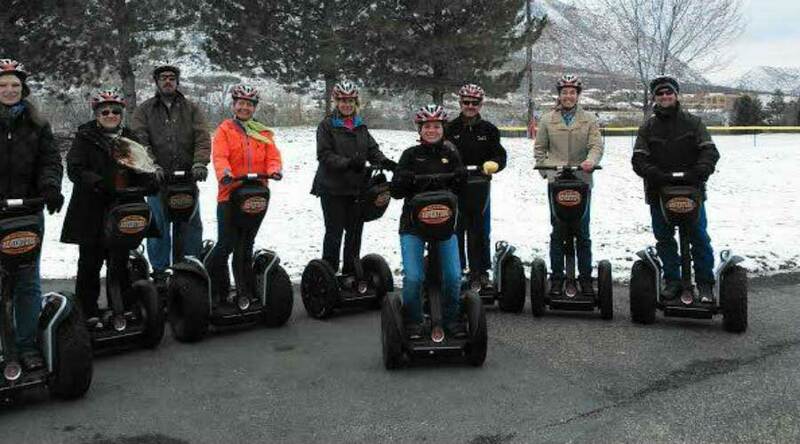 Segway Tours in Glenwood Springs A different way to take in the natural beauty of Glenwood Springs Colorado! This ain’t no ordinary tour. For the adventurous in spirit, or just the downright curious, our Segway adventures provide you with an unforgettable, unique mountain experience. Suitable for first time and experienced riders. Climb 2,000 feet above historic Glenwood Springs on The Red Mountain off road adventure, or glide around downtown Glenwood Springs on our one hour adventure. See the sights of Glenwood Springs in style on our 1.5 hour Segway Adventure. Have no fear, riding a Segway is easy and exciting! Each trip will include a thorough training session before departure. You’ll view some amazing locations around Glenwood Springs, including Two River Park and The Storm King Memorial. It’s an experience you won’t want to miss.